Will Supreme Court Consider Whistleblower Cover Up Case? 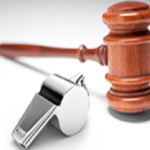 A whistleblower that filed a False Claims Act case against his former employer has asked the U.S Supreme Court to review a troubling and controversial ruling by the D.C. Circuit Court of Appeals. That ruling permits corporations to hide evidence of fraud from whistleblowers and the government. The case has huge implications for taxpayers and corporate responsibility. Harry Barko, the whistleblower, worked for Kellogg Brown and Root, today known as KBR. The company is one the biggest defense contractor in the United States. Last year the company reported revenues of $7.2 billion. Barko claims that while stationed at Camp Al Asad in Iraq, he discovered KBR and Halliburton were overcharging the U.S. government for construction services at Iraqi military bases. Barko filed a federal False Claims Act lawsuit against his employer The False Claims Act is a powerful tool against fraud that allows a whistleblower to keep a portion of whatever the government collects from wrongdoers. In 2009, the Justice Department declined to intervene in the case but Barko decided to prosecute the case personally. When the government refused to take over the case, KBR and began a full court press to block the suit. KBR and Halliburton initially sought to dismiss the case but a federal judge ruled in Barko’s favor and allowed the case to go forward. KBR appealed the ruling and earlier this year the D.C. Circuit Court of Appeals ruled against Barko and reversed the trial judge’s decision. A three judge panel ruled that corporations could hide evidence of fraud if that evidence was obtained through a corporate compliance investigation. Our opinion? Corporate compliance programs should not be used as a tool to cover up fraud. Many corporate wrongdoers try to muzzle employees, require workers to sign non-disclosure agreements and hide evidence of fraud. Making every compliance investigation subject to the attorney – client privilege will cost taxpayers billions and make it easier for corrupt companies to hide fraud and shut down whistleblowers. Is there light at the end of the tunnel? Perhaps. Certainly we hope that the Supreme Court takes the case and reinstates the trial judge’s decision to order discovery. Whether Barko can prove his claims without that discovery is difficult to predict. Clearly the government has more investigative tools and carries more clout when it takes charge of the investigation. Recognizing the problems faced by individuals trying to pursue these cases without government help, Congress provided for triple damages and allows a whistleblower that pursues a case alone a higher percentage of the recovery. If Barko wins, it could be a very large payday. 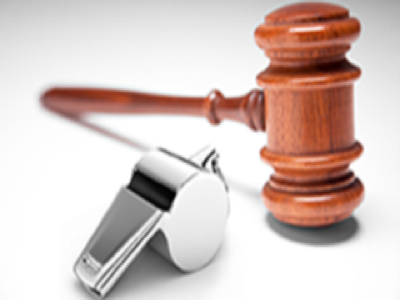 The whistleblower lawyers at Mahany & Ertl have brought some of the largest false claims act cases in the United States. We help whistleblowers collect the maximum cash award and help taxpayers shut down fraud and corruption. Think you have inside information about a fraud against the government or taxpayer funded programs? Call us. All inquiries are kept in strict confidence.